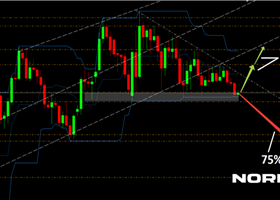 The British Pound consolidates near its recent lows against the greenback, with the pair confined to a tight 40 pips range ever since the day started, but overall, with the bearish trend firm in place, given that the pair broke last Friday, below the 61.8% retracement of the latest bullish run between 1.4130 and 1.4769, at 1.4370. 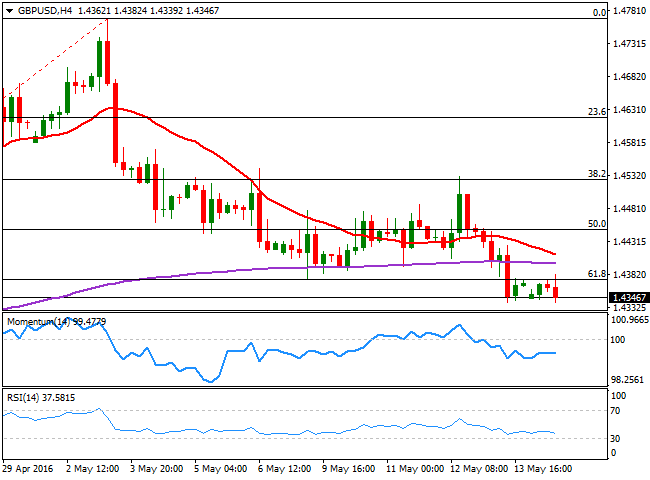 The European opening saw the pair spiking up to 1.4382, but the pair quickly reversed course and currently pressures the 1.4340 region, where it also bottomed on Friday. Despite the lack of downward momentum, the downside is favored as in the 4 hours chart, the price remains also below its 20 SMA and 200 EMA, whilst the technical indicators hover well below their mid-lines. 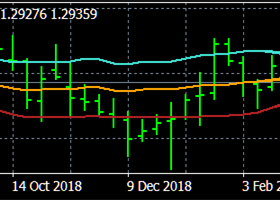 The pair has an immediate support at 1.4320, and further slides below it should open doors for a steeper decline, first to 1.4290 but then towards 1.4250, a major static support. Above the mentioned daily high on the other hand, the rally can extend up to the 1.4430/50 region, where selling interest is expected to resume.